Have Fun and Do Good With JL Boston! 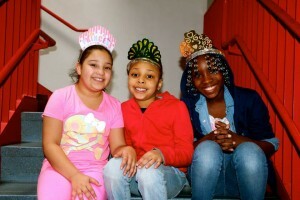 - The Junior League of Boston, Inc. The JL Boston blog has showcased several of the community projects staffed by our members including a program that matches mentors with college women and one that provides professional attire to homeless women who are interviewing for jobs. We can’t do any of this valuable work without help from the greater Boston community. JL Boston Development Events provide the perfect opportunity for you to show your support for our community projects. By participating in our Development Events, you demonstrate your commitment to improving the lives of underserved Boston populations by financially supporting our community initiatives. Please consider joining us for November’s remaining fundraising events. JL Boston Development Events are terrific opportunities to mingle with JL Boston members, meet like-minded individuals interested in serving their community, and have fun exploring the city’s hotspots! Your ticket fees go directly to JL Boston community projects and, often, partners will donate an additional percentage to our mission. B/SPOKE Charity Ride – Sweat out the last full week before Thanksgiving at an indoor cycling event on Thursday, November 20 from 7:15 until 8:15 pm! Your $25 ticket to this event will go directly toward supporting JL Boston and its mission! JCREW Shopping Party – Please join us on Sunday, November 23rd from 10am-12pm at the J. Crew women’s store in Copley Place for a morning of private shopping, refreshments and personal styling. Guests will receive an exclusive 15% off $150 or more. Tickets are $25! Your ticket to one of our Development Events may fund the art supplies for the students in JL Boston Arts or provide sneakers for a girl participating in the Youth Villages – Germaine Lawrence Run Club. Every little bit counts! Please contact Samantah Soukamenueth, Susan Moussalli, or Rachel Deering, with questions about these events.